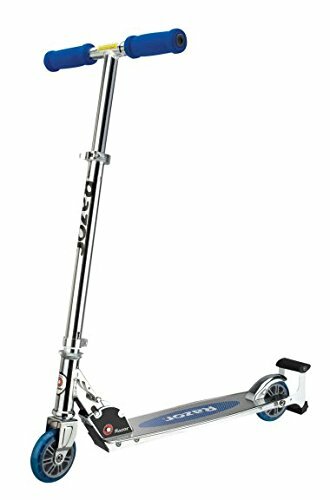 Razor Spark Kids/Boys Aluminum Folding Kick Scooter – Blue | 13010440 , selling for $40.99 brand new. Manufactured by Razor. There are 1 units left brand new. Light up your ride with real sparks with the bonus spark cartridge that is included! Simply step on the Spark Bar and watch the sparks fly! The all time best selling scooter in the world just got even hotter. Introducing the Razor Spark Scooter with a refillable spark cartridge. You can seriously light up your ride! Just step on the sparking bar and watch the sparks fly! The Spark Scooter leaves an awesome trail of sparks. Light up your ride with the new Razor Spark Scooter!